Not only will you end up writing a better speech, but the better prepared you are, the less nervous you will be. It's crucial to think about why the people in your audience have come to listen to you. There is a big difference between talking to people who have chosen to come to see you, and addressing people who are there because they have to be! Compare an inspirational speech about making money to a speech announcing compulsory redundancies, for example! Make sure your tone is relevant and appropriate. 3. Put yourself in the audience members' shoes. It has been scientifically proven that concentration in humans dramatically drops after twenty minutes when listening to a speech. People probably won't get up and walk out if your speech goes on for too long, but their minds may wander off. 4. Think from the perspective of your audience. 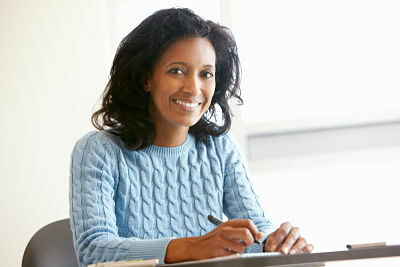 You are an expert in whatever the speech is about and familiar with the subject matter. But some of your audience may be hearing the information for the first time. Help your audience create mental pictures, to make the facts you give them more interesting and memorable. For example, you may find it easy to visualize a distance of 2835 million miles, but most people in your audience probably won't. A good way to put a number like that (which is actually the distance between the Earth and Neptune) is to say: "If you were to drive your car at 70mph across space, it would take you 5 months to reach the Moon and 4500 years to reach Neptune." 5. Make it a priority to grab your audience's attention from the outset. If you don't, then you may never get it. The worst mistake you can make - (and this cringe-worthy mistake is made again and again) - is to begin your speech with "Hello, I'm here today to talk to you about ...". Your audience knows that you're there to make a speech and what that speech is going to be about. This introduction is their cue to switch off and think about something else. Start your speech with a joke or an intriguing question. 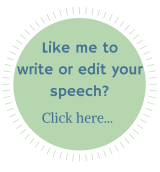 These, then, are the five most important speech writing tips you need to know. There are many other tips and words of advice on this site that will enhance your presentation, of course... but if you only remember five things, remember these!